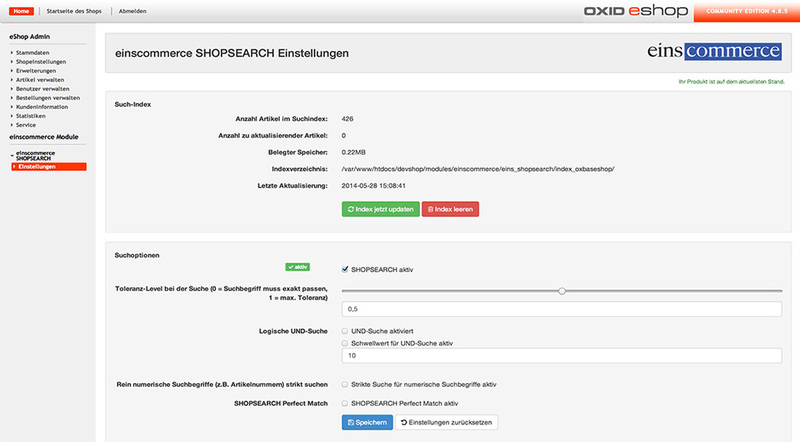 OXID eXchange | Projekteins SHOPSEARCH 1.0.16 | Stable | CE | 4.6.x - 6.0.x - module | Module, Themes, Language Packs direkt herunterladen! The LuceneTM-based search engine can be flexibly optimized according to your needs to accomplish maximal conversion for your OXID eShop. There are no registrations and no further costs. The tolerance for typos and other divergences to the search terms can be set up precisely. 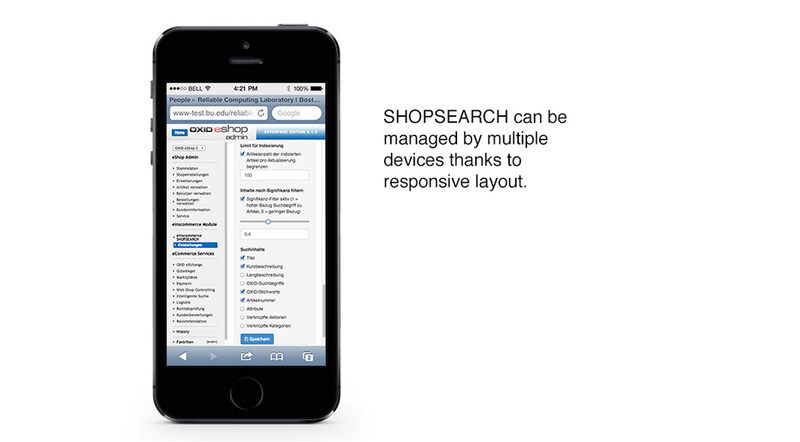 Projekteins SHOPSEARCH is build from scratch to support high performance capacity. 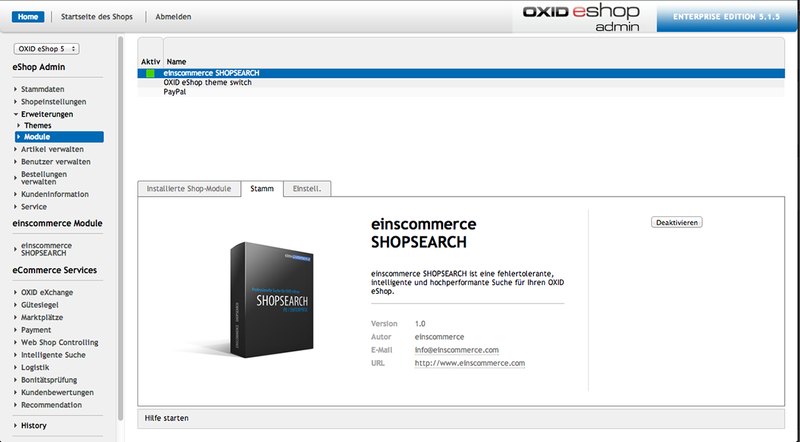 Projekteins SHOPSEARCH supports the entire multi shop functionality of OXID EE. 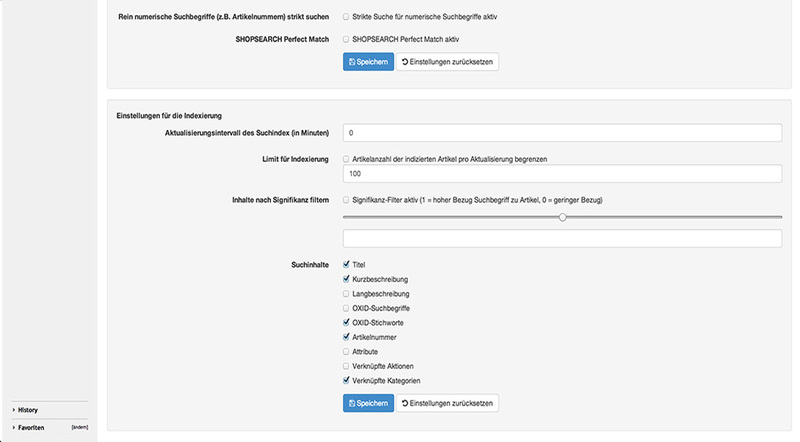 In the admin panel of SHOPSEARCH you can configure dynamically, which article information should be indexed for the search. Single search terms can be linked via logic AND or OR. The optimal connection can be tied to the number of search results. 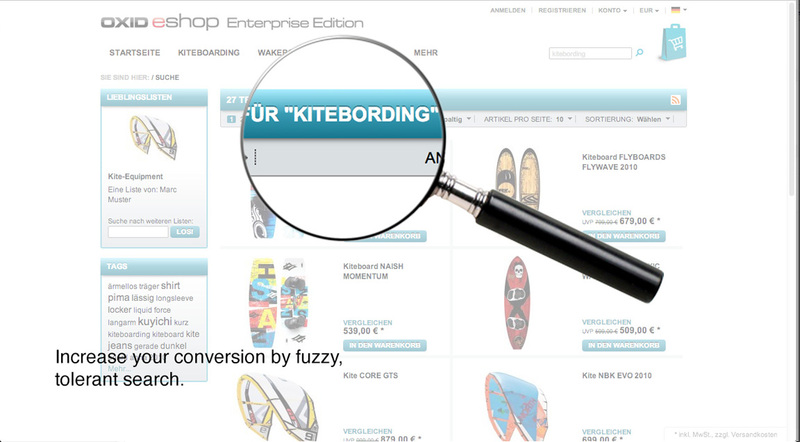 You can activate SHOPSEARCH significance filter to remove insignificant words.